The restaurant industry is one of the toughest industries in America. To be successful you must possess a unique mixture of great food, great atmosphere and superior customer service. For the past 22 years, our favorite Wolf Pack has been serving the Santa Clarita Valley with just that! In celebration of their 22nd Anniversary Wolf Creek will have special items for 22 cents at the restaurant from April 1-4. The festivities will continue at the Brewery on April 7 from Noon to 6 p.m., where the pack will be throwing their 22nd “Older not Weiser” birthday bash! “We will be releasing a special Double IPA and a Barrel Aged Tripel that day, along with special glassware and shirts,” says owner Laina McFerren. So, stop by and join in the fun with some of Santa Clarita’s best. In observance of the Easter holiday, Wolf Creek Restaurant is offering Easter Specials at the restaurant with special hours (10 a.m. to 7p.m.). And to add to the fun the Brewer’s Menu is now available and full of crowd pleasers like the Kalbi short rib kimchi pizza. 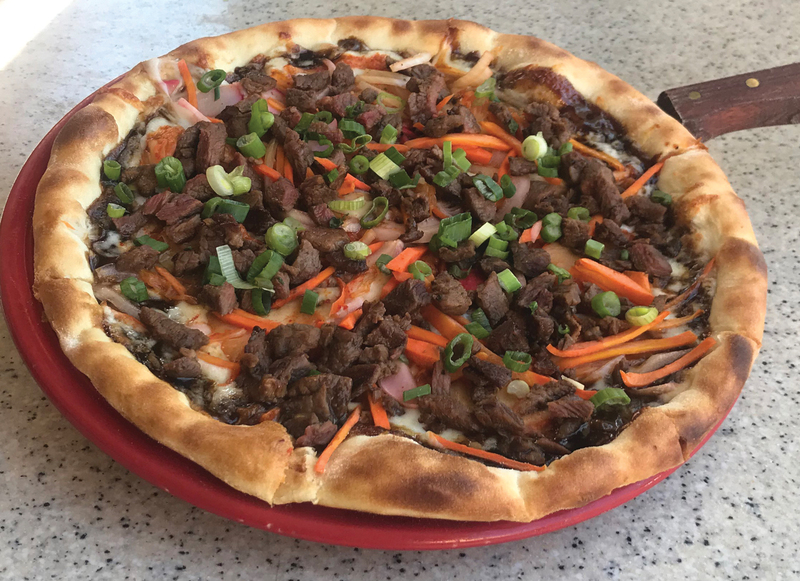 A homemade pizza dough topped with sweet and spicy Asian sauce, mozzarella & fontina cheeses, grilled kalbi short rib, kimchi, pickled vegetables, green onions and cilantro. Yum! For an experience like no other stop by either location; the restaurant: 27746 N McBean Parkway Valencia, CA 91354 or the Brewery: The Tasting Room 25108 Rye Canyon Loop in Valencia or call today to find out more on the amazing deals being offered: 661-263-9653.